May 21….Buddy Holly Center Summer Showcase Concert Series - The BHC is gearing up for another hot summer of music and fun. This week's featured band is Element. Performances are every Thursday evening from 5:30 p.m. - 7:30 p.m. in the Meadows Courtyard. Summer Showcase is FREE to the public. There will be a cash bar, beverages and food available for purchase. No outside beverages are allowed. Buddy Holly Meadows Courtyard, 1801 Crickets Ave.
May 22….A Cactus Tribute to Fleetwood Mac, Tom Petty, and The Eagles - For those of you who have enjoyed a Cactus Theater Tribute show to The Eagles, you are going to love this combination. Fleetwood Mac was part of our most recent tribute and Amber Pennington blew you away singing those incredible Stevie Nicks songs. There is no better cast anywhere presenting the music of The Eagles than Dustin Garrett and crew. Now, we are adding the music of another one of the most exciting bands of that era: Tom Petty and The Heartbreakers. Join Dustin, Amber, Jason Fellers, West Garza, and The Lubbock Texas Rhythm Machine for this cutting edge Cactus Tribute presentation. Please contact the box office at 806-762-3233 to reserve tickets. Reserved seating. Cactus Theater, 1812 Buddy Holly Ave; 7:30 p.m.
May 23….Luenell (Early Show) - Luenell, of Tollete, Arkansas, is an actress and comedian. Some of her most well-known movies and appearances are; "Think Like A Man" and "Think Like A Man Too" with Kevin Hart; "The Rock" with Nicolas Cage and Sean Connery; "That’s My Boy" with Adam Sandler; "Never Die Alone" with DMX; and the hilarious movie "Borat". 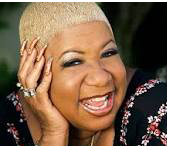 Luenell is widely known for her comedy performances as part of the Katt Williams American Hustle Live Tour and Series. She performed her stand-up act on a Showtime special called "Snoop Dogg’s Bad Girls of Comedy". For her first time in Lubbock Texas, Top Shelf Entertainment presents and welcomes actress and a veteran queen of comedy, Luenell, live at the Cactus Theatre. Please contact the box office at 806-762-3233 for reserved seating. Cactus Theater, 1812 Buddy Holly Ave; 7 p.m.
May 25….Fun Run – Come out and support the South Plains Food Bank. Registration is free! Participants should bring a bag of non-perishable food items to donate to the South Plains Food Bank. The theme is “Conquer Hunger” – feel free to come dressed as your favorite superhero! Register at www.sosfunrun.org for the 5k and 1 mile Fun Run. Come enjoy fun for the whole family including face painting and a safety booth by the Lubbock Police Department! Come early to enjoy free fruit and bagels! Please email or call at (435) 790 -8099 for more information. MacKenzie Park, 301 Interstate-27; Check-in begins at 8 a.m. The 1 mile race begins at 9 a.m., the 5k at 9:20 a.m.
May 25….Pirates & Treasure (Closing Day for Exhibit) - Arrr….ye ready for family fun this Spring? Treasure is a word that stirs the imagination of everyone, of every age. An educational and entertaining exhibit for museums and science/technology centers, Pirates & Treasure! explores the history of treasures and treasure hunting, the technology employed in hunting treasure, as well as the people and personalities that hunt for treasure—including you! What is treasure? Who hunts for treasure? Why do they hunt treasure? How do people hunt for treasure? What do you treasure? Explore these questions and take part in your own treasure hunt when you visit Pirates & Treasure! There will be several thematic areas and hands-on activities that allow you to try tools of treasure hunting and investigate treasures. Discover the life and times of pirates on the High Seas, from “Black Bart” and “Blackbeard” to “Long Ben”, learn why these pirate legends are still romanticized today. Special exhibit features include actual artifacts from shipwrecks and other treasure sites. Visitors are invited to go on a treasure hunt in the exhibit to locate the special treasure chest. *For Group and School Group rates and reservations please call 806-745-2525 x234. Additional exhibit information may also be found at www.sciencespectrum.org. Science Spectrum OMNI Theater, 2579 S. Loop 289. May 26 (Repeats June 2)….Cactus Theatre presents: "The Elephant Man" - The Cactus Theater will feature this serious drama based on the life of John Merrick, who lived in London during the latter part of the nineteenth century. A horribly deformed young man, victim of rare skin and bone diseases, he has become the star freak attraction in traveling side shows. Found abandoned and helpless, he is admitted to London's prestigious Whitechapel hospital. Under the care of celebrated young physician Frederick Treves, Merrick is introduced to London society and slowly evolves from an object of pity to an urbane and witty favorite of the aristocracy and literati only to be denied his ultimate dream, to become a man like any other. Produced by Don Caldwell and Directed by Tim McIntire. Tickets are $20. Cactus Theater, 1812 Buddy Holly Avenue; Doors will open at 7 p.m. and showtime is 7:30 p.m. Question: What is the name for the famous pirate flag that is identified by the skull and crossbones? Kids Love Mud...Here's a Chance to Join the Fun This Summer! Monday Afternoons, 1:30-3:30; cost $25; ages 5-11. June 8, 15, 22, 29; July 6, 13, 20, 27; August 3. *A different craft each week*; snack and drink each week. *FREE when sign up and pay for 6 or more sessions by June 1st. Thursday Afternoons, 1:30-3:30; cost $25; ages 12-16. June 11, 18, 25; July 2, 9, 16, 23, 30 and August 6. *Different craft each week*; snack and drink each week. *FREE when sign up and pay for 6 or more sessions by June 1st. Full week kids camp, Monday - Friday, July 13-17; 10:30 am-12:30 pm; cost $120; ages 9-16/ *Must have advance registration. Limited to 10 MUDDERS. *Learn how to create: *a ceramic piece from clay to finish; *a screen printed item' *a grouted mosaic; *an etched glass piece; *design and decorate a themed cookie and mug. Year 'round! *FREE membership! Ages birth to 18. *FREE 4 x 4 tile to decorate on your birthday; *25% off one item each six weeks for having all A's and B’s on your report card; *2 cookies for the price of 1 every Thursday; 3 - 6 pm at Cookies by Design, for Mud Club kids. *Priority Invitation to Mud Room special events; *15% off Birthday Parties; *Other quarterly special offers for members.